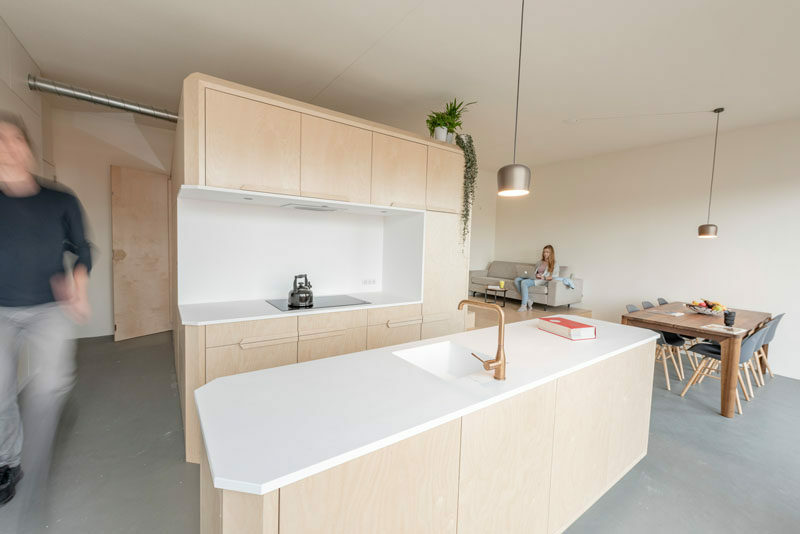 Heren 5 architects, in collaboration with furniture designer Paul Timmer, have designed a small 484 square foot (45m2) loft apartment in the North of Amsterdam. Upon entering the loft, there’s a small hallway with access to the bathroom and storage closet. The hallway then opens up to the kitchen. 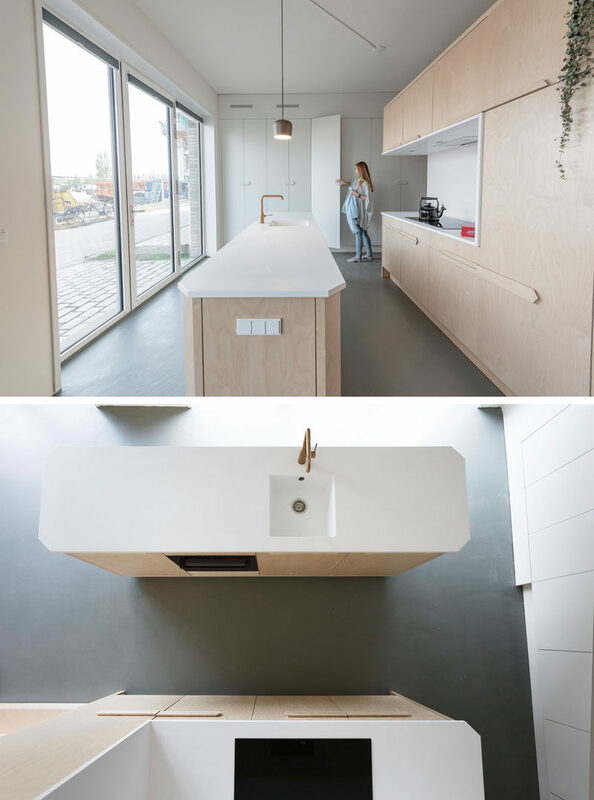 The palette throughout the loft is birch wood and white Corian. White closets line the wall providing additional storage, while in the kitchen, there’s ‘diamond edge’-detailing, designed by Paul Timmer, that gives the kitchen cabinetry and countertops a unique look. 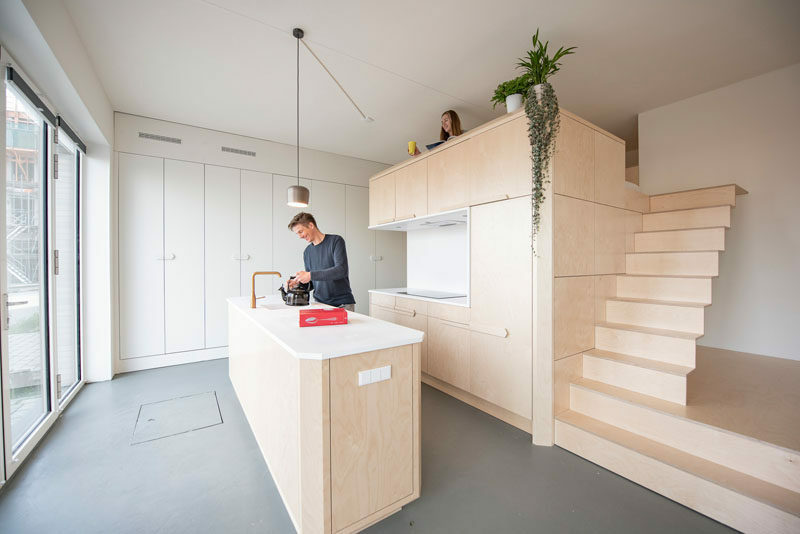 Adjacent to the kitchen is the dining area, and raised on a platform is the living room. 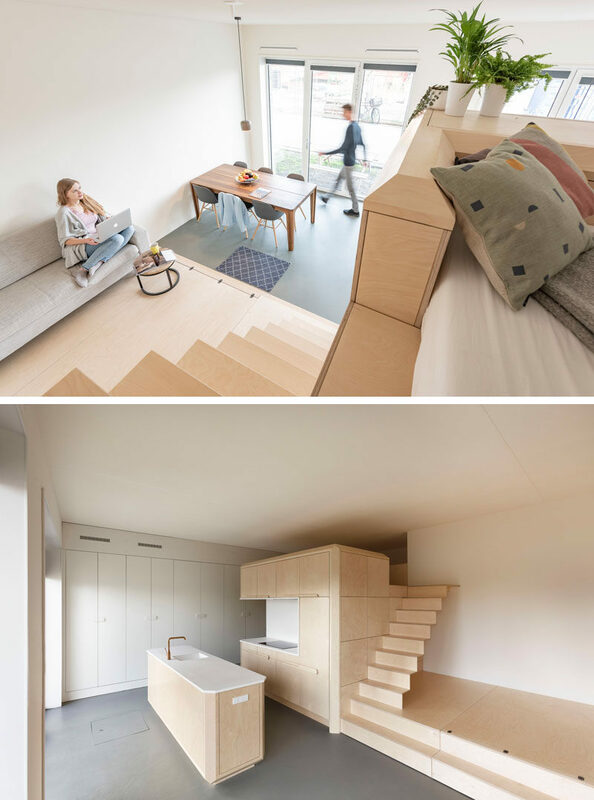 Simple wood stairs lead up to the lofted bedroom that overlooks the rest of the apartment. 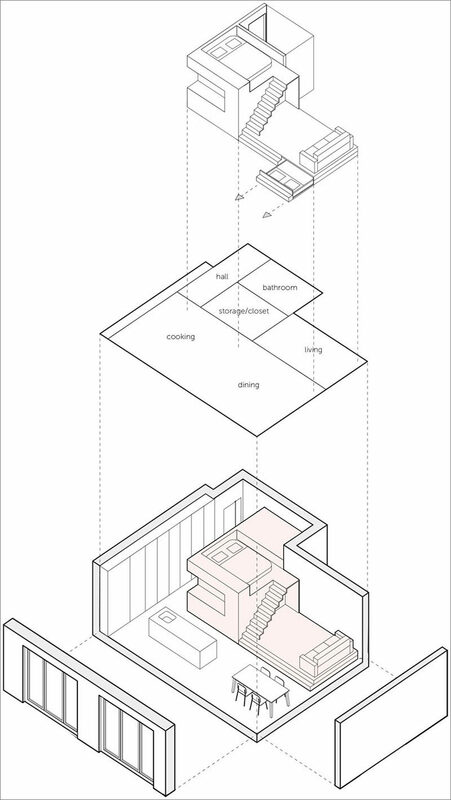 Here’s a look at the floor plan that shows the layout of the apartment, and it also reveals that there’s a hidden pull-out bed located within the stairs that lead up to the living room.